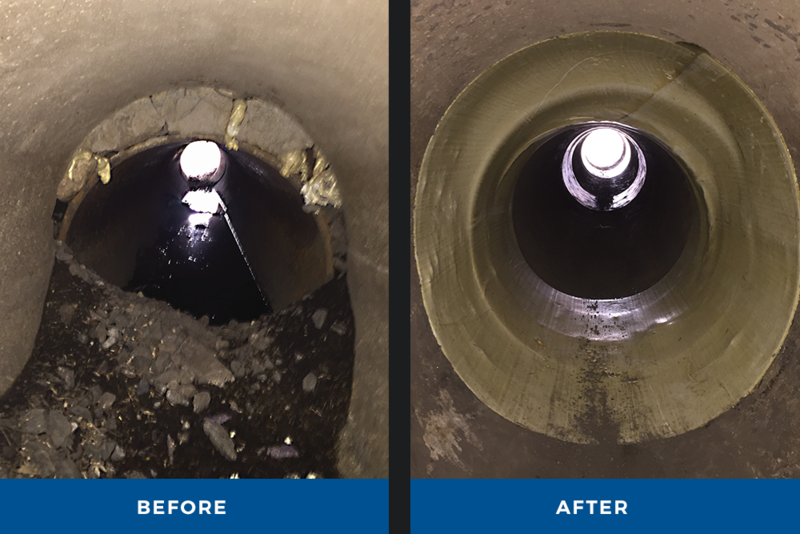 Pace’s system is the ideal cost effective, environmentally friendly CIPP point or sectional repair solution for all sewer and storm water pipes having a circular or oval cross section. Our point repair technology creates a structural repair for damaged or missing sections of pipe, offset joints, and pipe separations. It can also seal off interior drops and cap off unwanted laterals. Our point repair resin presents no hazards to the environment or human health. Resins cure under ambient sewer conditions with very low shrinkage, even under water. Once cured (about 2 hours’ time), the point repair has the structural integrity of fiberglass with E80 and H20 load ratings. Working time of ambient-cure silicate resins is much longer than that of thermosetting epoxies; Pace’s point repair system has the longest working time of any silicate-based resin offered by similar systems on the market.